Michel Waiswisz pushes technology to its expressive limit, by creating electronic musical instruments which depend on the physical intelligence of the performer. 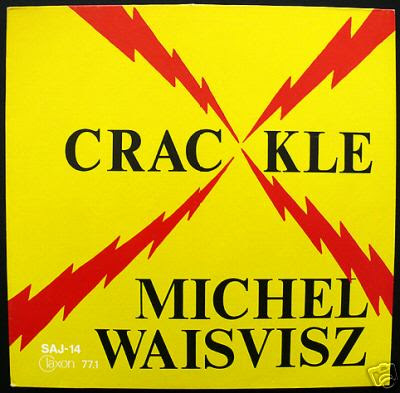 A composer, performer and inventor of groundbreaking instruments which make electronic sound tangible (such as the Hands, the Sweatstick and the WEB – the latter in advance of the Internet), Waiswisz decided in the 1970s not to record his music, but to concentrate on live performance. He has played in concert halls and at rock festivals all over the world, and collaborated with a wide range of musicians, from Steve Lacy to Laurie Anderson to DJ Spooky. He is also the Director of Steim (the Studio for Electro-Instrumental Music), the only independent electronic music centre in the world exclusively dedicated to the performance arts. Waiswisz demonstrates a resolutely human approach to technology, characterised by "extremely physical interfaces," but he has also developed software instruments (with Frank Baldé) such as Image/ine and LiSa (for live sampling). He is also the founder of the Physical Philosophy movement, which champions physical manipulation (rather than language) as the most economical and precise expression of the axioms of philosophy. This hard to find item is on the NWW list. this is easily one of the BEST most EXPRESSIVE synth records I've ever heard. Somewhat abrasive, wacked out free jazz duboid music. Highly recommended. Thanks for the tremendous blog! This file has been deleted. An chance of a re-upload somewhere? Been looking for it for a long time.